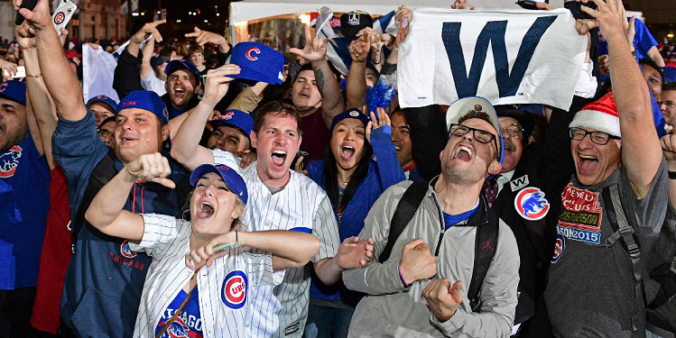 MURFREESBORO, TN – The Murfreesboro Police Department is investigating a breakout of “Lifelong Chicago Cubs Fans” throughout Rutherford County. Around 11:00 p.m. last night, authorities claim that social media erupted with unprecedented fits of Cubs fandom, often from individuals who had never before posted about the Chicago Cubs. Social media posts were often accompanied by references to curses and billy goats, which has caused authorities to label the breakout as some kind of sorcery or witchcraft. Reports indicate that the typical Lifelong Cubs Fan is a lifelong resident of Middle Tennessee, tied to the Chicago Cubs by nothing except a television and a desire to be part of an underdog story. Lifelong Cubs Fans also often have a fabricated story from their childhood that loosely ties them to the franchise, providing an excuse for shameless bandwagon hopping. An unnamed source in the Murfreesboro Police Department indicated that police expect the spike in Lifelong Cubs Fans to decline quickly, as Lifelong Cubs Fans turn to other sports and remember that they are also Lifelong Alabama Football Fans, Lifelong Kentucky Basketball Fans, and Lifelong Dallas Cowboys Fans. The author of this article has looked at ESPN once and decided that he too is a Lifelong Cubs Fan. That looks like fun! Scoot on over and make room on the bandwagon, boys and girls. It’s great to cheer for a champion!